The book promotion got so much more exciting the closer we got to the book launch. I was very aware that I couldn’t solely promote the book on Bailey’s blog, or people would lose interest. I continued to blog about our life and other things of interest with sailing and pets as the subject matter. In the week running up to the book launch however, I ran a competition with several ways to enter and win one of five copies of the book. Three copies were up for grabs by entering a Rafflecopter competition that encouraged people to like and share things from Bailey’s social media platforms and a winner was picked at random. 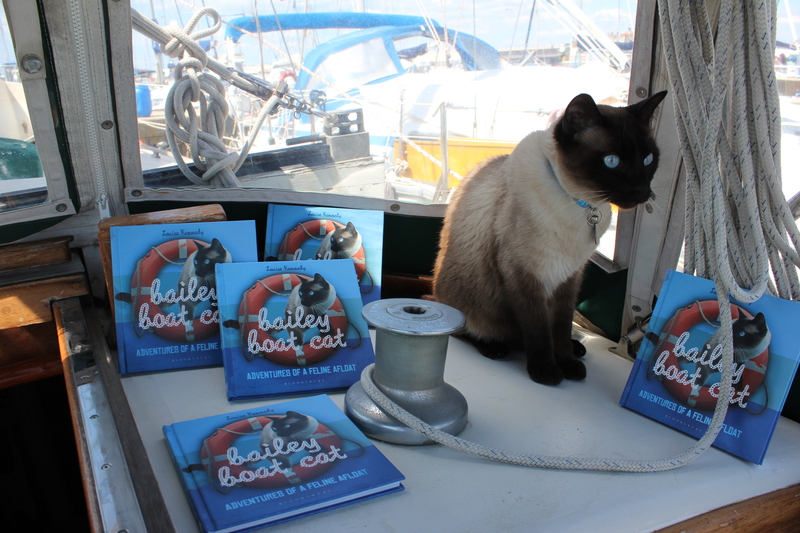 The other competition was run on Facebook, where I asked people to post an ‘Inspired by Bailey Boat Cat’ photo and the two photos with the most likes won a copy of the book. Both competitions were a huge success and the Facebook photo contest was creative and fun with lots of people engaging with the page and finding out about the book. On the day of the book launch Bailey, my boyfriend James and I were on Nocturne enjoying a beautiful sunny day with friends. 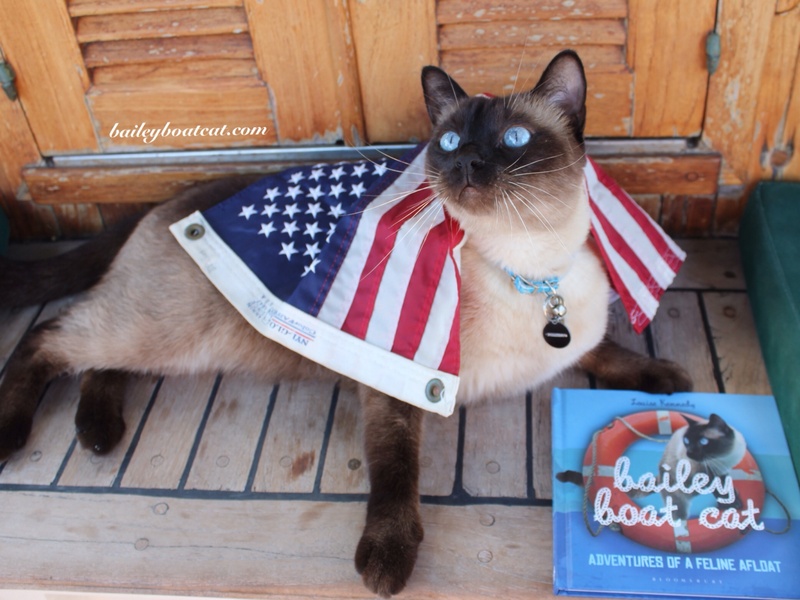 We toasted to Bailey and the book and Bailey was so relaxed he fell asleep on the stern of the boat and fell into the water! A fitting way to celebrate the book launch by being the centre of attention as usual! Of course we also had a big ‘virtual’ party on the blog again for the American book launch. I ran an ‘American Dream’ themed competition, which was also really successful. The book launch was a great celebration after all of the hard work and book promotion that came beforehand. I saw the book on the shelves in a bookstore for the first time a few weeks later and I was beaming like a complete muppet for the rest of the day. I doubt that feeling will ever get old and I really hope to have more books on the shelves one day too. Please join me next Wednesday for the final instalment of the Blog to Book Series where I’ll talk about what I’ve learned from the process. If you would like to read the series from the beginning you can by clicking here. Wishing you all Sandy Toes!